Elliott Neff is a National Master in Chess, author of A Pawn’s Journey (October 2018), and CEO of Chess4Life, which exists to help kids develop life skills through the game of chess. What began for Elliott as a childhood fascination with chess has blossomed into an opportunity to positively impact tens of thousands of kids per week through Chess4Life programs. 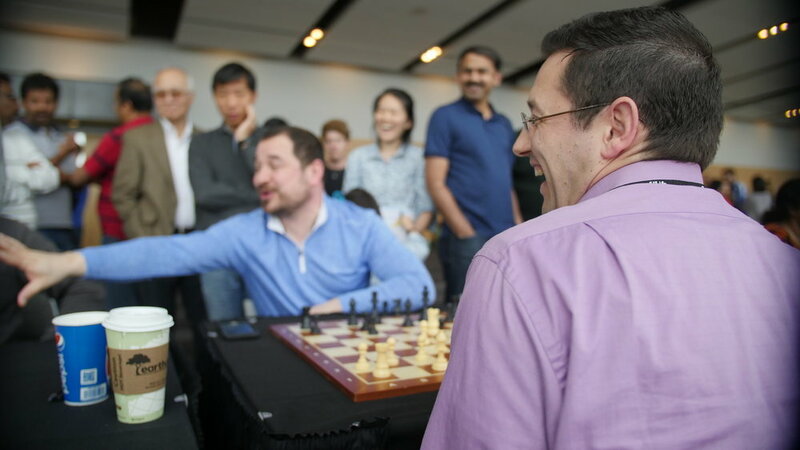 Elliott’s coaching expertise is reflected in his recent certification as a USCF Level V Coach, an honor that fewer than a dozen top level coaches in the US share. Robert Katende, Founder and Director of SOM Chess Academy in Uganda, coach to Phiona Mutesi of the Queen of Katwe. Elliott is a husband, father, entrepreneur, and author. We do not share your information. Unsubscribe at any time. Thank you for your message. I look forward to responding shortly!